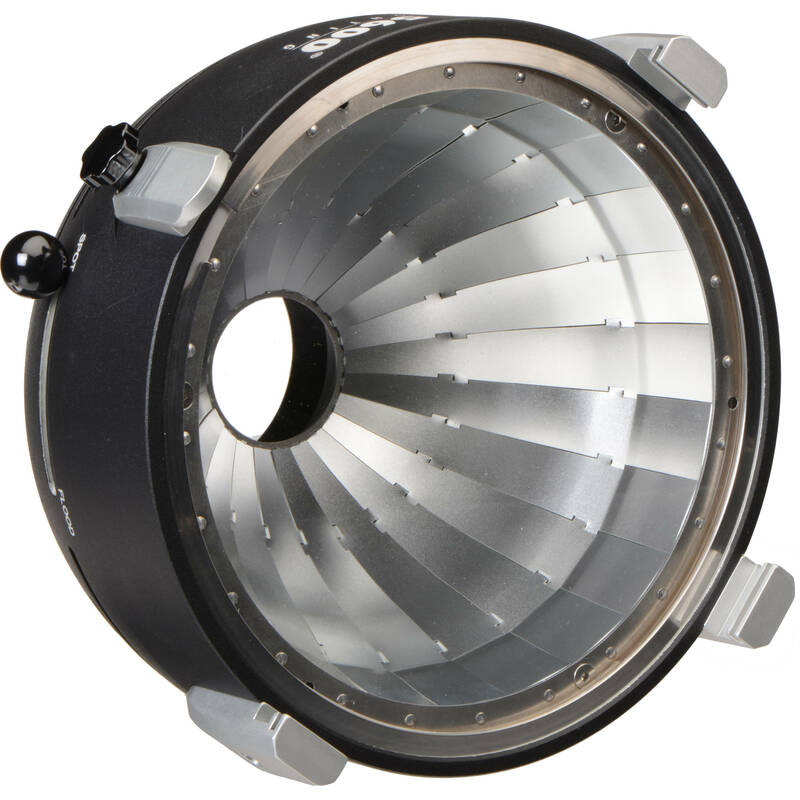 The Joker 800W Zoom Beamer from K5600 Lighting is a lensless focusable reflector that can output a beam angle from 15 to 55°. It has physical similarities to a faceted umbrella with a soft finish that evenly distributes light. This model is designed for use with an 800W lamp for the most efficient performance. Box Dimensions (LxWxH) 15.1 x 14.7 x 12.9"